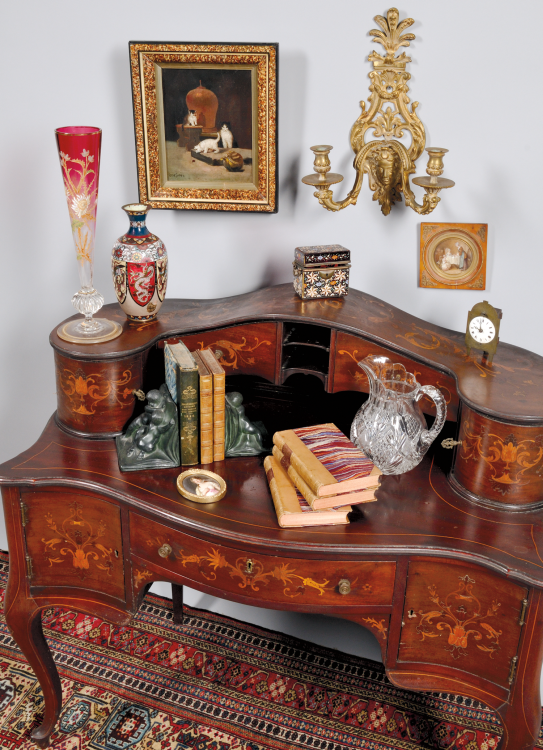 Antiques Insurance Guide | Documenting Valuables | Skinner Inc.
Skinner is pleased to join D.F. Murphy Insurance as co-presenting sponsor of the Wayside Inn Antiques Show. In the lead up to the show, we’ve invited Wayne Texeira, Marketing Director at Murphy Insurance to provide our readers with some insider insights on protecting antiques and collectibles. When it comes to protecting your personal possessions and financial well-being, having a home inventory is important. You never know when something may happen and you will need to file an insurance claim. And, if you own antiques or fine arts, the unique nature of such items makes having detailed documentation crucial so that you’ll receive appropriate insurance compensation if a loss occurs. Proper valuation is essential to protect your financial investment. While a receipt may be sufficient for recent purchases, we recommend having your antiques and fine arts appraised as their value often appreciates over time. Periodically updating appraisals is also wise to ensure you maintain sufficient coverage. • Work with a qualified appraiser who has experience evaluating items similar to yours. • Be sure to check credentials and discuss the appraisal cost in advance to avoid problems. • Document all your antiques and fine arts — not only higher value items. A collection of lesser value items can add up to a substantial amount. You need proof of their worth to collect the true value in a claim situation. Consider getting appraisals for all items. • List all pieces with full descriptions including history and assessed value. Keep receipts or the most recent appraisals, if you have them, with your list. • Take pictures of each piece in your collection. Use the time stamp feature if available and label all photos. Digital photos are inexpensive and easy to store. Video is a great way to give a verbal description of items, and can be a first step to create a quick inventory. • Safely store your inventory and documentation. Keep a copy for handy access, but store the information in a safe location, preferably away from your home and separate from your collection. • Keep the inventory up to date. When you make purchases, update your inventory and be sure to notify your insurer. Policies often provide coverage for newly purchased items but only for a very short period of time unless you specifically add them to your schedule. Taking time to prepare an inventory also allows you to assess if you have the right amount of insurance protection. It’s important to prepare an inventory not only for antiques and fine arts, but also for all your personal possessions. If the unthinkable happens and you experience a fire or other major loss, you won’t have to suffer the additional trauma of having to trying to document details about all of your possessions from memory. There are a variety of methods and approaches to organizing an inventory. The key issue is to find a method that works for you and to get started. The sooner you get your inventory in place…the sooner you’ll be able to have peace of mind. Visit dfmurphy.com/homeinventory for more tips on documenting all your possessions. This entry was posted in Blog and tagged antiques insurance, antiques insurance guide, antiques inventory, appraisals, Collecting Tips, creating an inventory, documenting valuables, Murphy Insurance Agency by Skinner. Bookmark the permalink. very good piece of information regarding tips on documenting your antique and fine arts and it is true taking time to prepare an inventory also allows us to assess if we have the right amount of insurance protection. This information has been very useful as I was looking for the same kind of information. Thanks for the information.